By delivering convenient, effective, and efficient diagnostic solutions— as needed, when needed, and where needed, Digirad, a healthcare solutions company offers a wide range of mobile and on-site diagnostic imaging solutions for healthcare systems and physicians. The firm is a pioneer in designing and commercializing “solid state detector” technology for nuclear cardiology, general nuclear medicine, and pediatric nuclear medicine. This technology enables Digirad to provide diagnostic services and solutions as a trusted outsource partner for hospitals and healthcare systems that are looking to customize an operational solution for maximum clinical and economic efficiency. 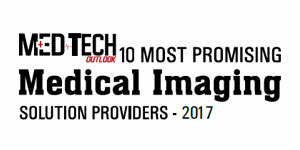 In addition to being a market leader in medical diagnostic services, the company develops, manufactures, and distributes solid-state gamma cameras that offer unmatched imaging capability combined with flexibility for performing nuclear medicine studies in imaging centers, outpatient service centers, and a variety of hospital settings. The Ergo Imaging System is Digirad’s advanced solid-state Large Field-of- View (LFOV) general purpose nuclear medicine camera that offers an array of conveniences to deliver high-quality clinical results. The compact open gantry design enhances the imaging flexibility and also makes it easy for physicians to capture patients’ image, irrespective of their position. This capability not only increases patient satisfaction and care, but also reduces the staff involvement. Additionally, Digirad also offers the Cardius X-Act diagnostic imaging system alongside its solution series which is raising the bar in nuclear cardiac imaging with its advanced SPECT/FAC technology. With the proprietary fluorescence attenuation correction, the X-ACT system allows for higher diagnostic specificity than a standard SPECT MPI system along with greater speed and throughput. The systems allow for patient personalized imaging resulting in shorter scan times and threefold reduction in patient dose as compared to conventional SPECT MPI systems. “With our state of the art medical imaging products and services, Digirad sets the standard by not only expanding clinical capabilities but also having significant impact on patient care,” comments Molchan. In one instance, a renowned customer of Digirad in the South-east has significantly grown by expanding its imaging coverage map by partnering with Digirad to create an outreach program that cares for patients in offices and facilities within a radius of 120 miles from their main hospital locations. The client needed to grow its outreach program and turned to Digirad for its state-of-the art imaging services. The services adopted by the client helped them determine patient demographics, disease susceptibility as well as give them the most promising prognosis. Unlike its competitors, the company’s best-in-class imaging services with outstanding flexibility helps Digirad to constantly impact patients’ experience, improve performance, and optimize outcomes. Moving ahead, “We look to grow organically, explore opportunities in our service business and product business and finally build new solutions for our customers,” concludes Molchan. Digirad is also looking at ways to assist Veterans Affairs in their initiative to understand healthcare conditions and issues in women Veterans and deliver comprehensive services accordingly.